What a crappy superhero movie. After all the completly bad reviews i had seen on this flick i was almost hesitating going to see it. Good thing i like to trust my own taste in films as i actually liked it. I also have no problem whatsoever saying i even enjoyed it more then Captain America!! Great storyline, CGI etc. this film in my own opinion had it all with a great cast to boot! Kudos to Peter Sarsgaard who was outstanding as the evil Dr. Hector Hammond. Do not listen to the reviewers on this movie and trust me when i say go see it for yourself before you pass judgment! In brightest day, in blackest night, No evil shall escape my sight. Let those who worship evil's might, Beware my power� Green Lantern's light! No posts have been made on this movie yet. 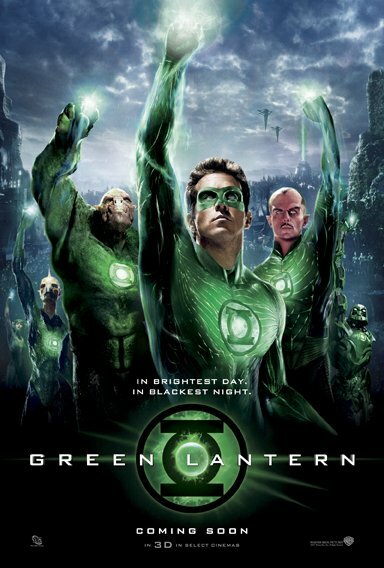 Be the first to start talking about Green Lantern!